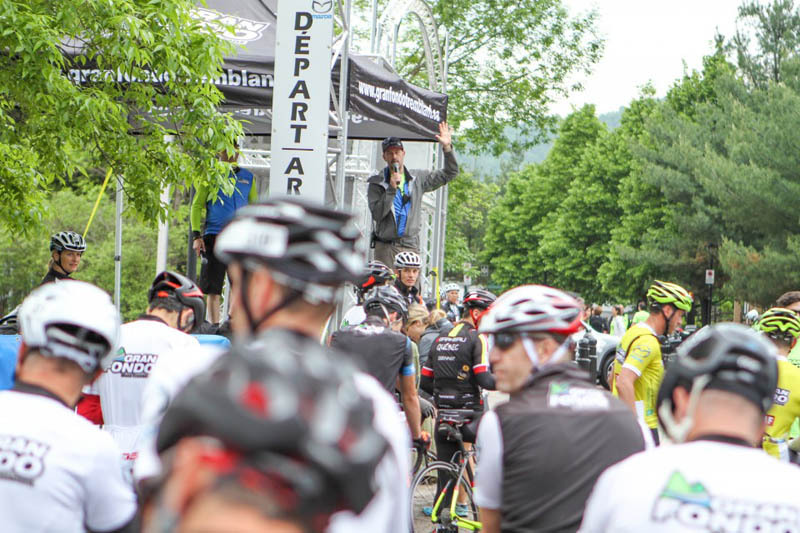 There were 1,500 cyclists at the starting line on Saturday, May 30th, for the third edition of the Gran Fondo Mont-Tremblant. With record attendance once again this year, the event is clearly growing in popularity for the 160 km, 125 km, 80 km and 45 km challenges. "The reputation of, and interest in, this event continue to grow. We have several participants here from all over Canada and the United States," said Simon St-Arnaud, co-producer of the GFMT. There were 10 pelotons at the starting line by 7:30 am that morning. The lead cyclists, official event vehicles, and police escorts all at hand to oversee safety and the orderly progress of this vast wave of riders. Plus the unconditional support of the municipalities involved in the event and the 200 volunteers who gave their time. "Weather forecasts obliged us to anticipate several different scenarios," said Robert Brunet, co-producer of the GFMT. "But we were lucky. Conditions were perfect for the event - we didn't get a single drop of rain." The event introduced an expanded programme this year. The scores of participants were received in a festive atmosphere and able to enjoy numerous activities throughout the weekend, including an exhibition village, the Sunset Ride on Friday night, cocktails, a participants' lunch and the Sunday morning Coffee Ride. The objective of the Gran Fondo Mont-Tremblant is to give cyclists an opportunity to challenge themselves to achieve a personal best. The event also recognizes the riders in elite pelotons for distinguishing themselves on the more arduous sections of the routes and rewards them with the prestigious Montées Mazda polka-dot jersey. Congratulations to the winners: German Balbin, Alexandre Chartier-Perusse, Marilyne Villeneuve, Pierre-Olivier Saucier-Guay and Laura Heuff. All individual results can be seen at www.granfondotremblant.ca. Official photos and a photo/video recap are now online at the event site www.granfondotremblant.ca/en/photos-videos and on the event Facebook page. The organizers are grateful for the support of the many sponsors, without whom this event would not have been possible. Our thanks to Mazda, Desjardins Wealth Management, RDS, Cyclepresse, Clif Bar and the valued collaboration of our host partners: the city of Mont-Tremblant, Tourisme Mont-Tremblant and the Tremblant Resort Association. 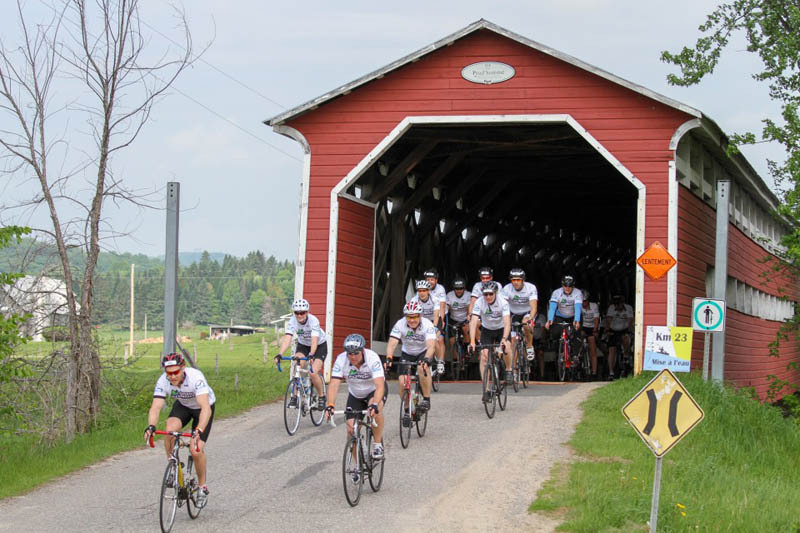 The Gran Fondo Mont-Tremblant team is pleased to announce that its fourth edition will take place May 27th to 29th, 2016. Be sure to mark the date on your calendar! 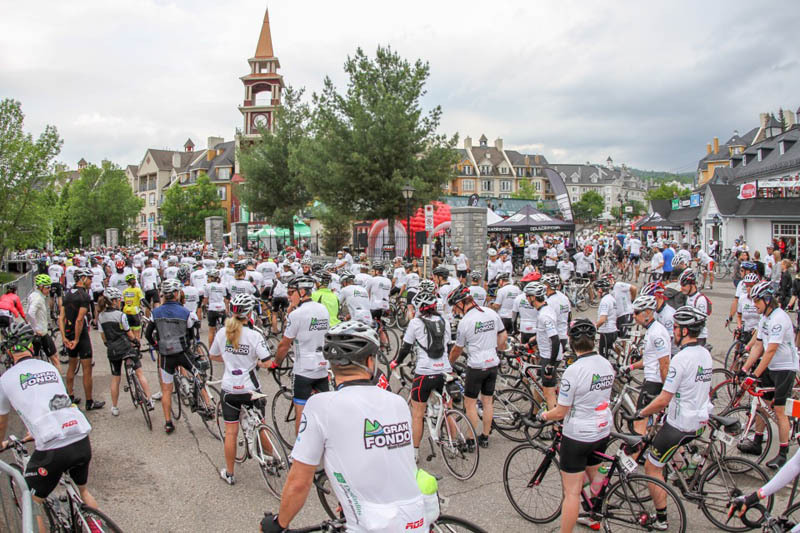 Early registration details will be available shortly at www.granfondotremblant.ca.